Star Trek Discovery First Look . . . – All of My Issues! Star Trek Discovery First Look . 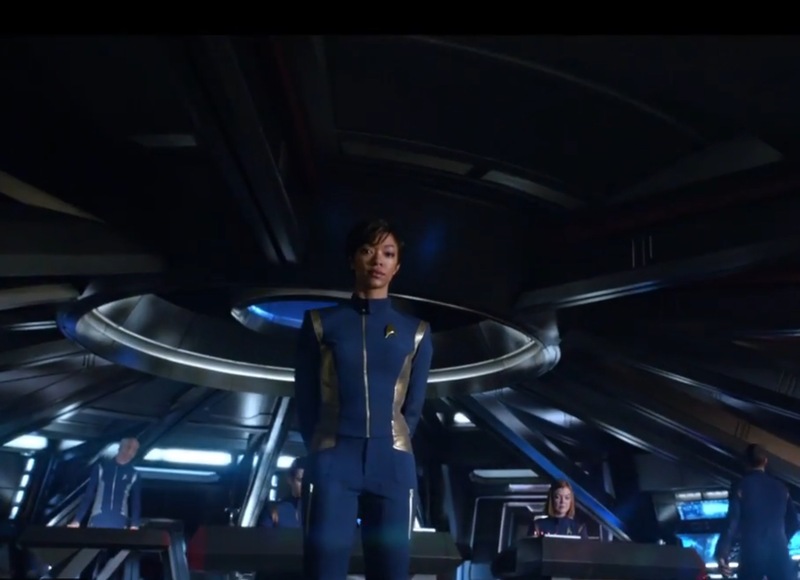 . .
Today we got to see the latest trailer for the new Star Trek series, Star Trek: Discovery. Check it out below . . . Some brief observations from this trailer . . .
Michelle Yeoh looks like she is getting ready to use the Staff of Ra to find the location of the Ark of the Covenant. Sand . . . so much sand. Is that Ras Al Ghul as the Vulcan douche? It looks like Sasha got a promotion . . . good for her! A classic sci-fi property doing a prequel . . . what could go wrong? We are definitely excited to see a new Star Trek series, and it looks like they’ve spent some serious time making this one look cinematic.